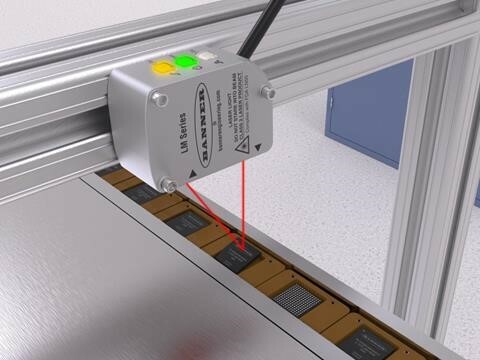 LM Series Precise Laser Measurement Sensor offers best-in-class performance with superior stability, reliability, and precision for real world targets! The LM has a temperature effect of +/-0.008 mm/°C. 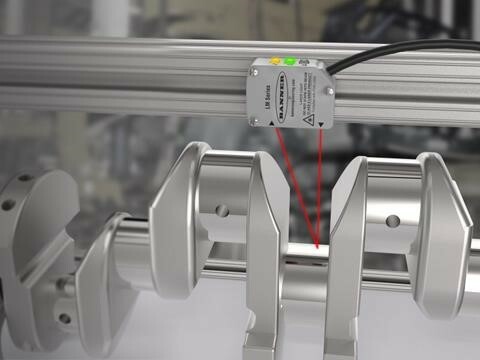 This is necessary for high precision applications since even a few degrees of temperature change can cause other sensors' measurement error to double. The compact housing can fit in small spaces and is made of 316 stainless steel and IP67 rated to provide repeatable detection even in harsh environments. The superior mounting stability allows the LM to perform more accurately in the toughest work environments. The LM in dual mode measures both distance and light intensity. 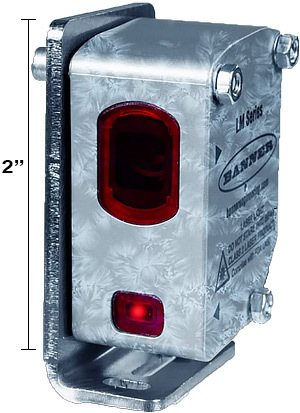 This allows the sensor to inspect multiple conditions like target presence and orientation with one compact device.